I have a clipboard that has been in my possession ever since I started teaching. When I started at St. Coletta Day School, I jotted down some notes after my first year. The notes became a list of goals, from my perspective, of what needed to happen at the school. I was new to this challenge of being both administrator and teacher and I was eager to continue the fine work that was being done at the school. After all, my predecessor, Sister Verna, had been there for 30 years! I was stepping in to some pretty big shoes! That list of goals that was written in 1994 has been on my clipboard ever since. Every once in a while, I will take a look at them and smile. The goals, a total of six, have all been met of course. But the list is a constant reminder of where the school was twenty-two years ago and where it is today. The very first goal that I wrote definitely had a “long term” connotation that I knew would have a lasting effect on the future of the school. Regardless of whoever is in the position I have, the goal would remain: To assure the permanency of St. Coletta Day School. In October of 2016, the school will have been operating for 60 years as an independent school. I am extremely proud of all of the people who have supported the school for the past six decades. Parents and families have put their trust in our staff. Our Board of Directors continues to give us vision and guidance. 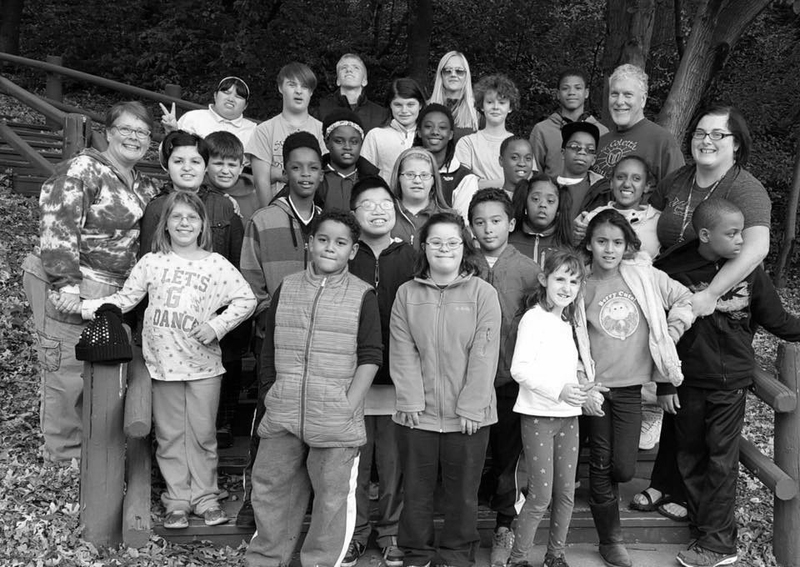 There are countless volunteers and supporters who believe in our mission and all for our students…for our kids. A great school is always good for leaning and this is the news this year. A kid from St. Coletta Day School, age 13 and in 7th grade is a improved worker, ever since he went to St. Coletta. He also has become smarter and more mature. He is responsible and respectful. And his name is Perryon Woodley and that’s me. I would give my teachers Ms. Rachel and Mr.Bill, and my parents all the credit. When I first came to this school I had a low grade in reading and in math. But they all helped me take that extra step to become more confident in my work and to try harder. Over the 2 years I have been here, I have improved my reading grade level by 3 years and I am able to go to math class at St. Sebastian since I can do 7th grade Math . And because of Ms. Rachel and Mr. Bill, I will be more successful in life and in what I want to do in life. I will always remember Ms. Rachel and Mr.Bill and how they have helped me improve and helped me see a brighter future. And I am glad to stand here and say ”Thank You”! Perryon pictured here with his teachers, Mr. Bill and Ms. Rachel. Picture above, Mariell works on her school work in Ms. Rachel’s classroom. After 10 years of being a paraprofessional at St. Coletta Day school of Milwaukee, I was so fortunate to complete my transition to becoming a classroom teacher. Years of experience learning on the job with the best teacher Mr. Bill and schooling at one of the best exceptional education programs in the country at UW-Milwaukee, prepped me for almost everything I faced during the 2015-2016 school year. One thing that immediately faced me as the year began was assessing reading levels for all of our students. There is a misconception that many of you might have about our students regarding reading. It is okay, I also thought that all or most of our students were reading at a level where they were still learning to read. However, this is not accurate. In fact over half of our students are at the point of their reading career that they are indeed fluent readers thus they are at the point they can be and should be reading to learn. I was fortunate this year to be the reading teacher of 15 of these students. And what a year it has been! UWM helped us find the right curriculum for our students which had leveled books that were age appropriate, culturally relevant and informational. I assessed all the students using running records at the beginning of the year and we were off and reading. My reading group of 15 students contained readers who were reading between a 2nd grade level and a 5th grade level. Our goal was to use the Reading A-Z curriculum as a tool to help our students advance at least one grade level for reading and to also help our students develop comprehension skills while reading informational texts. I also had assessed comprehension strategies for our students and used this information to help design my lessons about which comprehension strategies would be taught. We moved forward reading book after book, 31 informational texts by the end of the year. While reading these 31 books, we focused on 4 reading strategies. We learned how to make predictions while we read and write down what we thought would happen next and then decide if our predictions were accurate or not. We made make connections to what we read and wrote down if the text reminded us of ourselves, another book we had read or something else in the world. We developed and wrote questions while we read. Questions that were deep and involved us having to think, wonder and compare in order to find an answer. Finally we learned how to read a couple pages of a text, identify 4 key words and then write a 10-15 word summary of what we read. Obviously many of our students needed these lessons to be scaffolded and supported in such a way that they could learn and achieve our daily learning objectives and goals. However, by the end of the year all 15 students had achieved a level of independence that would marvel anyone. All students in my reading group achieved advancing 1 year in their reading level and many achieved a 2 year gain. I now have students reading between a 3rd grade reading level and 6th grade level. All of these same students are writing 1-3 paragraphs a day and are able to fully participate in a group discussion with their peers on the book they have read. We started with discussion scripts so that all the students could support their agreement or disagreement with their classmate by using text evidence. By having support for their argument or opinion, my students saw that they could use this same model in other classes at St. Coletta, while attending classes at St. Sebastian (where 7 of the 15 students attend academic classes with their regular education peers), and they even were able to generalize this discussion model and use it on the playground and in the lunchroom with their peers. Many things happened this year that have made me so proud. One student who had never written a paragraph ever, started writing everyday and really seemed to enjoy it. All 15 students read 1 of 3 novels at the end of the year, these novels were at their level and were a huge accomplishment for all. Finally I am proud of a moment that happened back in March. We had read a book about Thomas Edison and a book about Nikola Tesla. All 15 students were able to read these books at their own grade level, one of the best parts of the Reading A-Z curriculum. Because of this, all the students were actively engaged reading these texts and the next text on George Washington Carver too. The classroom was silently reading while I worked with a small group during guided reading. One student, who is a young man who is not known for talking out, suddenly yelled “No, George don’t listen to to him”. I quickly asked him what was wrong and he told me that he read that Edison was asking George Washington Carver to work with him and that he didn’t want George to have Thomas Edison mistreat him like he felt Edison had done to Tesla. This wonderful text to text connection should help anyone see that the students at St. Coletta are reading everyday and learning everyday. I can not wait to see what the next school year will bring! “Miss Rachel stop talking like Miss Julie’s dog. This comment was made by a St. Coletta Day School student when Ms. Rachel was pretending to be impulsive. “Miss Julie’s dog” refers to Impulsive Puppy, a puppet, who is always responding inappropriately, interrupting and making other poor choices. The puppet is a part of Second Step – a nationally recognized, research-based social skills educational program for children ages 4 and up which we use in our weekly Social Skills Class. 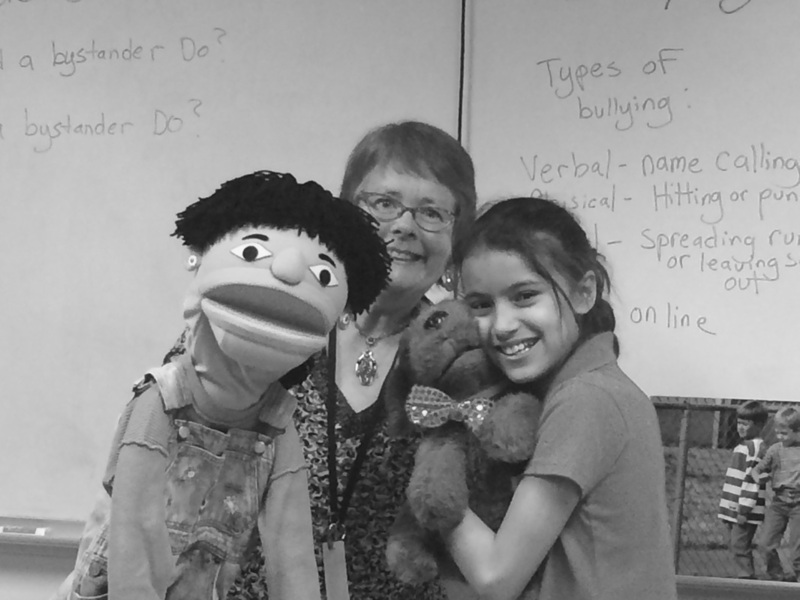 ​Our class uses puppetry and role play to learn appropriate social skills. The students begin by learning about the four core feelings: Happy, Sad, Afraid and Angry. Recognizing what we are feeling helps us to figure out what to do next when we encounter an issue that bothers us. For example, sometimes if we feel nervous or anxious, we are actually feeling afraid about something. Anger is an emotion which can lead to difficult social situations. Anger can lead to conflict and violence, so we learn strategies to work through our anger with anger management. We practice deep breathing, counting to 10, positive self-talk, talking to an adult and moving our bodies by jumping, running, dancing or playing sports to relieve some stress. These strategies can help us work through our anger and resolve difficult issues. We use a Peace Bridge for conflict resolution. Two students work their way from each end of the bridge - they work on a number of issues on their journey to the middle where they meet and shake hands. Other topics covered throughout the year included: Apologizing, If…Then, Manners, Lying, Personal Space, Friendship, Compliments, “Stranger Danger”, Bullying, Accident or On Purpose, How to Avoid Physical Fighting, Gossip and Rumors, Paying Attention, Conflicting Feelings, and Respect. We even worked our Social Skills Class into a Valentine’s Day project in which we wrote compliments which were truly meaningful like “you are a very kind person” or “I enjoy your friendship” rather than “that’s a great outfit you are wearing.” We put them into a card with each classmate’s compliments for every student. Positive outcomes have been abundant in Social Skills Class and the students are excited to participate in dramatic role play every week. Role playing can help everyone to understand situations which may not be socially acceptable and work through them to find a positive way to handle the problem. Social Skills Class directly addresses the content of our Covenant: kindness, respect, peacemaking and honesty. This helps us to become better human beings. Welcome our new staff members, Julie Borouchoff and Traci Schneider! Both Julie and Traci have experience in the field of special education and are a great addition to our St. Coletta family. With one school year behind them, they are excited to return in the fall. Rachel Lustig has successfully completed her certification and licensure program in middle child/early adolescence special education. Congratulations to Ms. Rachel for an excellent job! Everyone involved with the school is extremely proud of her accomplishments. She brings all of her expertise and passion to our school every day! This spring, we learned of a new voucher program through the state of Wisconsin. The Special Needs Scholarship Program (SNSP) will be available to students with special needs. This is a great opportunity for all of our families who apply for the scholarship. You can read all about this new offering at this link: http://dpi.wi.gov/sms/special-needs-scholarship St. Coletta Day School is applying to become a part of this program. This past November, the students of St. Coletta had another opportunity to show off their artistic talents at our annual fundraiser, “ColettaScope”. Paintings, drawings, multimedia pieces and weavings were just some of the creations that were on display at Mount Mary University, who hosted the event. This was our most successful event ever raising more than $32,000! A huge thanks to our guest artists, framers, sponsors, restaurants, businesses and individuals who support this event. You can see them listed in our donor list. Please show your thanks by patronizing their businesses whenever you are able. Tell them “Thanks”. It’s all for our students! ColettaScope 2016 will be held once again at Mount Mary University on Saturday, November 12. Watch for details.